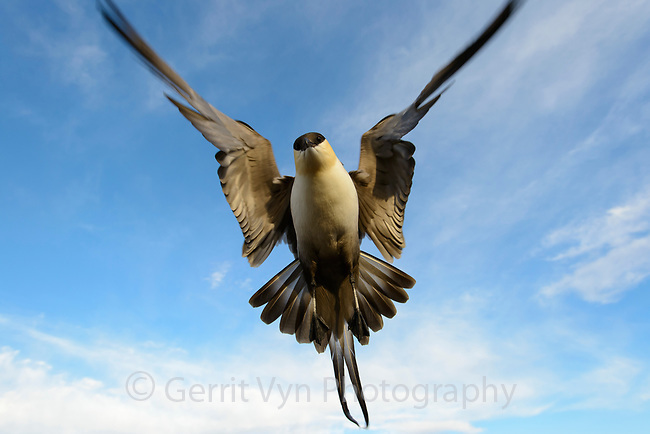 Long-tailed Jaeger (Stercorarius longicaudus) hovering. This species is an aggressive mobber in the vicinity of its nest. Yukon Delta National Wildlife Refuge, Alaska. May.